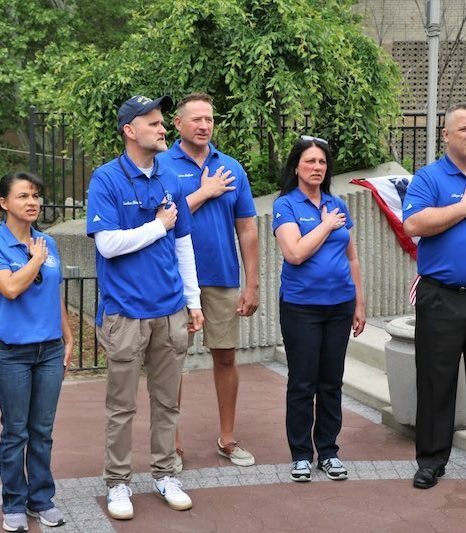 Mayor Wayne Zitt and the town council hosted Guttenberg’s annual Memorial Day ceremony on Monday, May 28 in Monument Park. Town Administrator Cosmo Cirillo acted as master of ceremonies, with Mayor Zitt offering a tribute to the U.S. servicemen and servicewomen who died while serving our country. Private First Class Felipe Ramirez, who was killed in a motorcycle crash in 2010, was honored at the event. A wreath was placed at the monument in honor of the former Guttenberg resident. 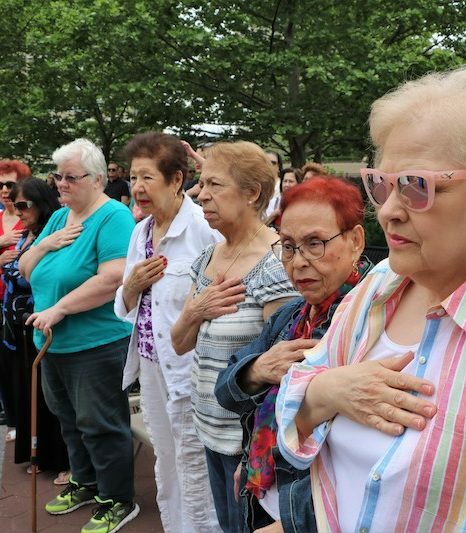 Local resident Olivia Habermann led the Pledge of Allegiance, Angela Cirillo sang the National Anthem, and Father Carol Fortunio of St. John’s Church presented the benediction. 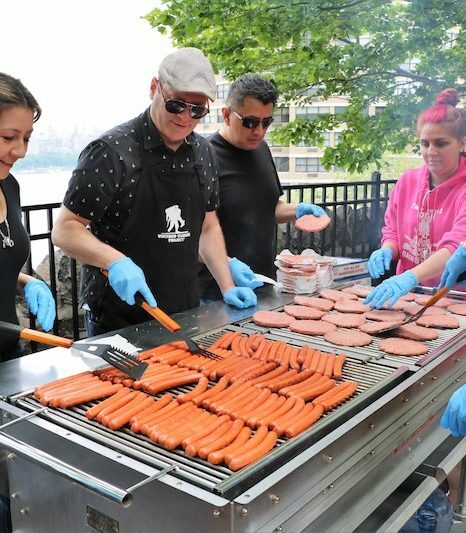 Many town officials, administrators, and employees volunteered to help out at the event and to serve food at the second annual Guttenberg Memorial Day barbecue, which followed immediately after the ceremony. 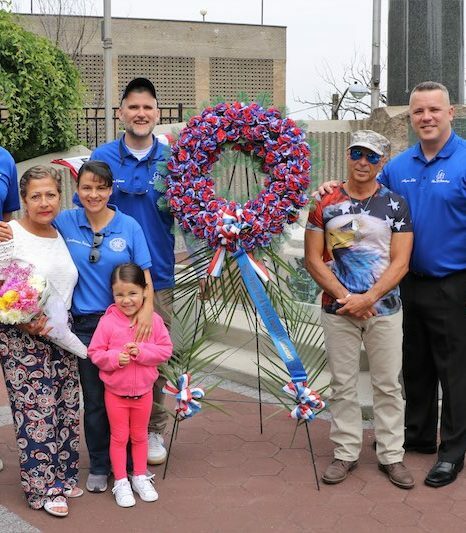 A large crowd of residents attended the event to pay tribute to America’s fallen heroes, to share the afternoon with friend, family, and neighbors, and to enjoy the free hamburgers, hot dogs, and beverages.